This shrink wrap band fits the Oval Lip Tubes perfectly and includes a perforation for easy removal. When heat is applied, the ban can shrink up to 40% of original size. Place item into the proper size shrink band. Use a heat gun or a hair dryer to shrink the band. Meets the FDA requirements for food contact. COMMENTS: Easy to use and a good professional look. Thank you WSP! COMMENTS: These work great on the oval lip balm tubes and they shrink down with little effort! Keep those lip balms sanitary! COMMENTS: The shrinkwrap bands give a more professional look to the product. They also help keep the label secure and prevent customer tampering. Especially with lip products, people want to know that they have an untouched product. COMMENTS: These fit the oval tubes great! "Great product to seal your lipbalms"
COMMENTS: Love these. Work perfect for the oval or straight lip balm tubes. COMMENTS: These shrink bands are the perfect size for oval lip tubes, I just wish that I could figure out how to print directly on them! I love how the perforation is horizontal instead of vertical, so the label is protected! COMMENTS: This product gives your product a professional look and also give your customers the security that the product was sealed at purchase! "Shrink Wrap Bands 28x70 (Oval Lip Tube)"
COMMENTS: The only thing that would make these better would be to have someone else apply them. Ha! Actually, they are easy to use and give our products a professional look while keeping them sanitary. Customers like the fact that their products are clean and safe, insured that no one has gone before them 'testing' the balm/perfume. These bands open easily - just place between forefinger and thumb and slide forefinger toward first joint of thumb - band will open to have top of balm tube placed inside, then just slide balm in to top of twist. They shrink easily and smoothly w/ no issues. Will order again regularly. COMMENTS: It took a few tries to get the hang of getting these on the tubes as they are a tight fit - once I got the feel for it I was slipping these on with no problems. Nice tight fit that doesn't require a lot of heat to shrink them. Nice smooth finish. Very professional looking and an extra tamper proof step to make sure the product is perfect when the customer gets it. "Shrink Band for Oval Lip Tube"
COMMENTS: The zip strip for removing the shrinkwrap used to run along the long side, so that you zipped off from top to bottom. Now the zip strip run across the short side. At first, I thought that you could take off just the shrinkwrap that is around the cap of the lip balm, which you can, but the shrink is so long that the dial is also covered. I think this design makes it more difficult to remove the wrap. COMMENTS: These were so easy to use and I like the idea of having my balms sealed. COMMENTS: Wonderful product. Arrived safe and sound and is as described. "Shrink Wrap Bands - 28 x 70 (Oval Lip Tube)"
COMMENTS: Works great on my oval lip tubes....place it zap it with the heat gun and you're done! However, you don't need to hold the heat gun close....if you do it will over heat and tear which is normal...there isn't a lot to shrink so not as much heat is needed. I like the security of wrapping my lip balms...I have had experiences with people "testing" them and putting them back into the pile...not cool so this should eliminate that problem for me. COMMENTS: Awesome product. Use on all my lip balm tubes to give it the tamper proof look. A must have! COMMENTS: Love these bands, work best on ovals, but can be used on round tubes or even small misters in a pinch! "shrink wrap for oval lip balm tubes"
COMMENTS: I have had very good luck using this shrink wrap for my oval lip balms and lip glosses. They fit secure without slipping. They also protect my product until it is sold or given as a gift. I never want to run out of this product. • Easy to use. Shrinks to fit tight. • I wouldn't change anything. COMMENTS: These bands make my products look amazing! COMMENTS: I love these! They give my lip balms a very professional appearance and work exactly as I need them to. COMMENTS: These do an amazing job almost to good, I wish they were a bit thinner as they are hard for the customer to get off. They are to long in my opinion so I trim the one end off. They are an Excellent quality product though and fairly easy to work with. They keep the Lip Balm safe from people wanting to take the lids off and make the product unsalable for me. COMMENTS: I use this for my round tubes. It works great. COMMENTS: This is a nice item to use for the products that are being wholesaled into physical retail stores. COMMENTS: I love using all of WSP's shrink bands. They are high quality, easy to use! COMMENTS: I easily wrapped my lip balms with these. Very easy to use. Looks professional when done. 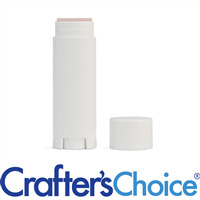 COMMENTS: This shrink band fit's the oval lip balm tube perfectly and gives a professional look to my product. Easy to use and shrink using a heat gun. COMMENTS: Keeps those curious customers out of the product for sale (sheesh, that's why there's samples). "Perfect for a professional look"
COMMENTS: these are a great way to ensure sanitary conditions, reduce tampering issues and make your product look very professional. 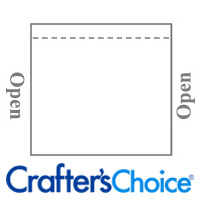 COMMENTS: Perfect fit, easy to use, professional touch to products. COMMENTS: Perfectly sized for lip balm tubes and easy to use. COMMENTS: These shrink wraps are great for the oval tubes. I can always find the sizes I need here. COMMENTS: I use with my oval chapsticks and recommend! It gives your product a more professional look, and lets the customer know it's been untouched. 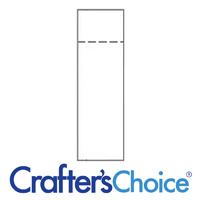 COMMENTS: These work well for my lip balm tubes, but I do have to trim some of the length and perforate the lid portion so they can be easily removed by customers. COMMENTS: I use this as a foot butter mini. Customers love the small trial size then come back for the larger size! COMMENTS: These shrink wrap bands are a lot of fun to use, for me anyways. I just take a hair dryer to them and they shrink up immediately. Definitely will give my customers the comfort of knowing that the product was not tampered with. "Wish the perforations went the other way"
COMMENTS: These bands fit well over the oval lip balm tubes, but I wish the perforations went up and down the tubes, instead of across the caps. I, and customers, find them very hard to tear off. Other than that, they work great. COMMENTS: Easy to use and look professional, you do have to be careful to hold your heat gun a good distance so you don't melt your lip balm. I love the added protection for not only myself but customers. COMMENTS: These are great and make the lip tubes look professional. I only wish they were a little shorter so the body of the band could stay in place and you could still get to the twist bottom. Will also work on the round lip tubes in a pinch. "Such a fun way to package!" COMMENTS: We love making lip scrubs and lip balms, but the very best part is getting out these shrink bands, slipping them on, lining up the perforation, and then running the hair dryer over them. It's just sssp and then a very secure package! COMMENTS: These bands are a perfect fit every time and shrink-wrap to a very tight fit on the oval tubes. I like that these bands keep my lip balms protected by preventing customers from opening them. COMMENTS: i love shrink bands on lip balm tubes. not only does it give the tubes a professional look, but it lets customers feel confident that the product hasnt been used. COMMENTS: I love these for my lip balms, way too many people like to "try" before they buy in my area. This helps solve that problem! COMMENTS: They give the lip balm a professional look. All I do is slip them on and blow dry them! COMMENTS: I have no complaints when it comes to these shrink wrap bands. I love the fact that they perforation is at the cap so that you can preserve your product label longer. Perfect in every way. "works just as they should~"
COMMENTS: worked awesome for my oval lip balms and gives it a nice clean finished product! COMMENTS: Love these shrink bands. 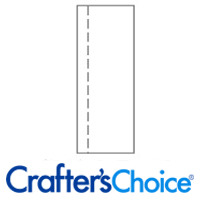 They fit perfectly and shrink easily and help make a very clean professional packaging. COMMENTS: I used these in a melt and pour process for cuticle cream and they were great! my customers loved the shape. "Works great on oval tubes"
COMMENTS: When you line up the perforation with the bottom of the lid, the bands overlap the top and bottom just enough that, when shrunk, they create a perfect seal on the tube. They shrink with a hair dryer OR a heat gun, so no special equipment is required. "What is the thickness/gauge of your shrink wrap band 28mm x 70 mm? Are the rest of the bands the same gauge?" Staff Answer All of our shrink wrap bands are 2 mil.